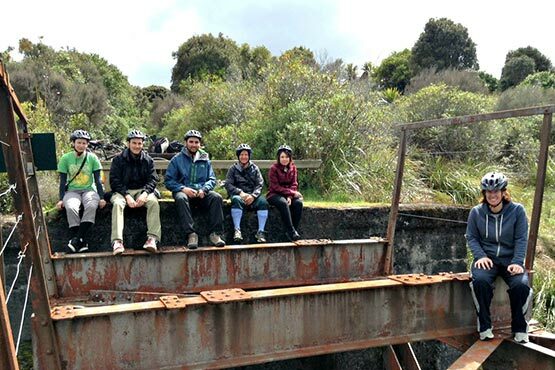 The Tongariro National Park is home to some of the best mountain biking terrain in New Zealand including Fishers Track, Ohakune Old Coach Road, Marton Sash & Door trail and the 42 Traverse. My Kiwi Adventure run trips for all of the trails below. See www.mykiwiadventure.co.nz to make a booking or speak to one of our friendly reception staff. 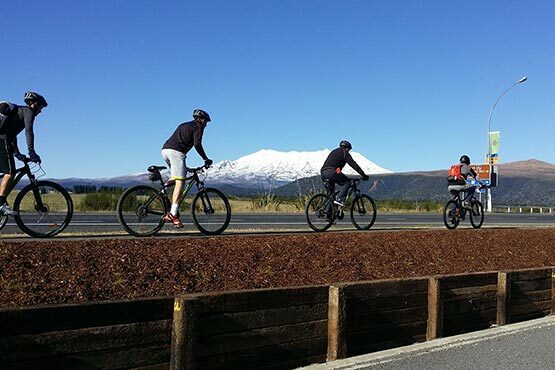 A favourite amongst local mountain bikers, the Fishers Track is a 27km, grade 2 track with spectacular views over Tongariro National Park and the Retaruke Valley. Largely downhill, there’s over 600 metres of vertical to enjoy. Ohakune Old Coach Road is a unique heritage cycleway, combining the gentle undulating terrain of the Coach road with new trails through stunning native bush. 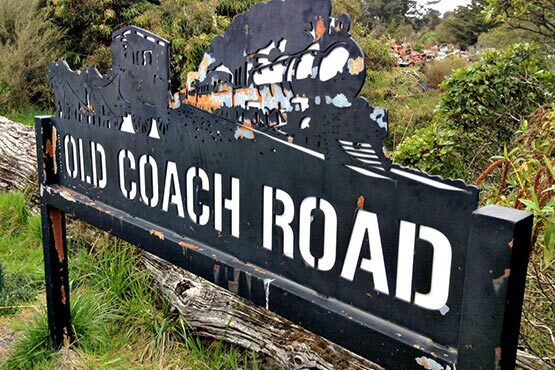 Steeped in history the Old Coach Road is a must do for those wanting an easy mountain bike ride, perfect for beginners or families. The trail is also suitable for most weather conditions, thanks to its high quality construction and native forest canopy which offers good protection from wind and rain. 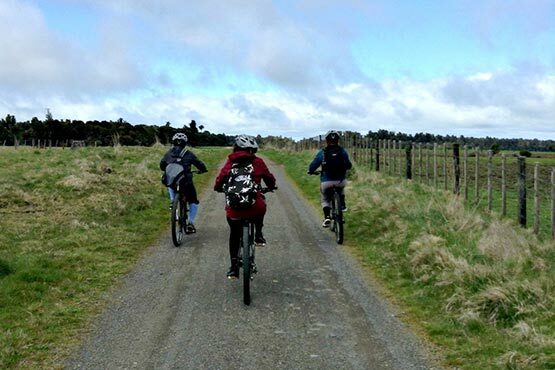 Allow up to two and a half hours to complete the 15km ride from Horopito to Ohakune with much of it being downhill. Appropriate for the whole family, this loop trail follows a recovered bush tramway route for an approximate 2-3 hour ride. 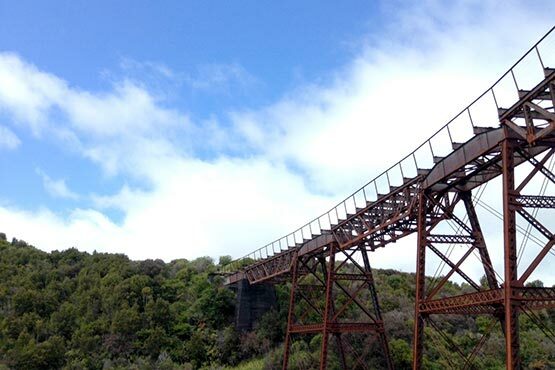 Starting and finishing in National Park Village, you will bounce in and out of pine plantation as you travel alongside the North Island Main Trunk Railway Line. 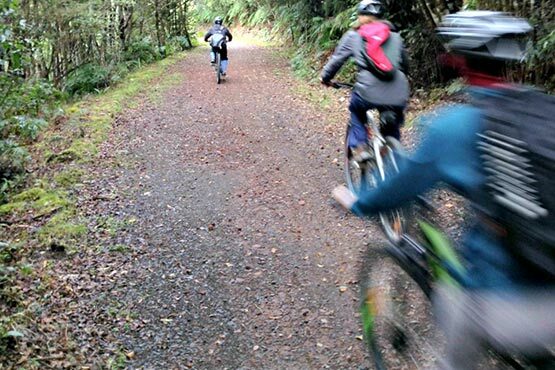 Considered one of the best mountain bike rides in the North Island, the 42nd Traverse follows old logging trails through State Forest 42 in the Tongariro Forest. There are challenging downhills and muscle-testing uphills. Expect to be distracted by the lush native forest and sweeping views of the volcanic mountains. Highlights include the stunning Canyon Valley & several river crossings. 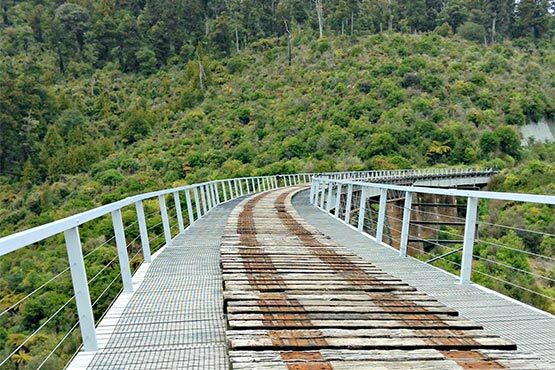 Starting at Kapoors Road, Taurewa on Highway 47, the trail is around 46 kilometres long with an overall descent of 570 metres. It takes four to seven hours to complete depending on fitness and experience. The ground varies from gravel to mud and for around 60 per cent of the time you’ll be on 4WD tracks. This is a remote trail with no easy exits along the way. The weather can change quickly so riders should equip themselves with appropriate clothing, spare brake pads, tyre mending kits, map, compass, food and drink.